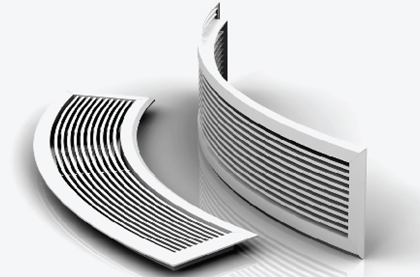 Linear Grilles and Diffusers can be produced in curved sections to customer specific requirements. These include LCS and Flowline Diffusers also Type F1B and F1N Linear Grilles. Sections may be formed for either ceiling or sidewall applications and these can be concave or convex as required.